Just occasionally I want to sneak off somewhere with an old skateboard and do my thing! The most adventurous object of speed that I was allowed back then was a Raleigh Commando bicycle, and my brother a Raleigh Chopper… At least I think the chopper was a Raleigh? Anyway, my Commando was the business! Black and with a twist grip to change the gears. 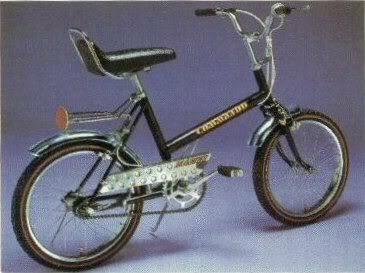 I had a succession of Commandos until after a few years the Raleigh Grifter came along – now that was something! The most popular Grifter was a pale metallic blue colour with a shortened rear mud-guard, however, my first was the metallic red. I only had that a short while until my brother left if outside at Aunt Veronica’s house, where it was stolen. Heartbroken, I exacted revenge on my brother’s bike by snipping through his gear cable with a pair of pliers. This wasn’t received well. 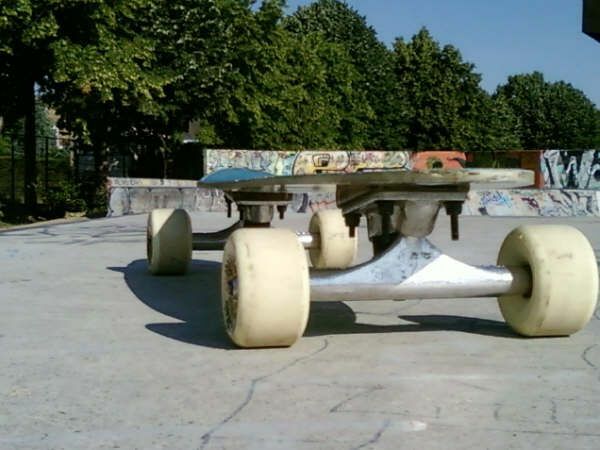 In years that preceded the Grifter, a skateboard fad was growing. 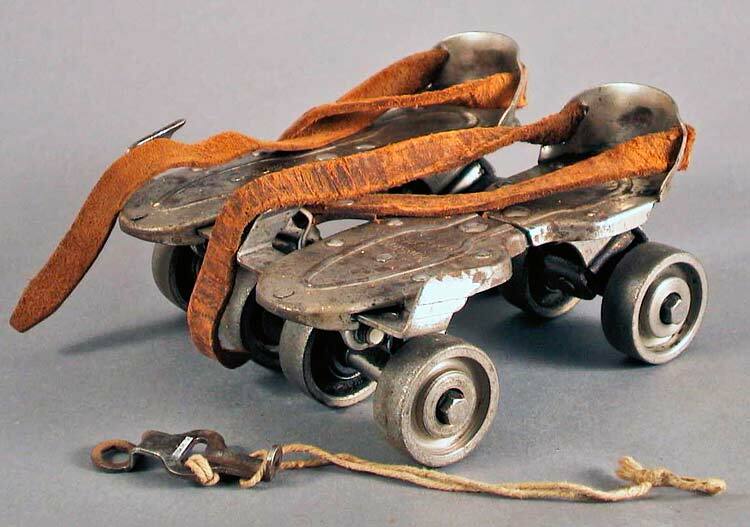 Everyone seemed to have them, except for a few of us who were denied because parents thought that skateboards were either an expensive luxury or that they were far too dangerous. Aside from the fact that there was just no money to spare me a skateboard, mum and dad insisted that it was just the element of injury they wanted to avoid. They along with everyone else had heard stories of scuffed knees, broken ankles and arms to name but a few. So, skateboards were well and truly off the Christmas and Birthday wish-list. This wasn’t going to stop a few of us having a go though. We had an idea. 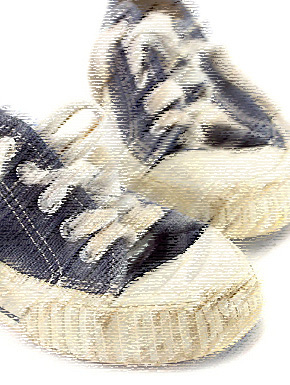 All we needed was a plank of wood that we could chip and chop here and there to give the desired shape and a pair of girls’ old roller-skates – you might know the ones, they were metal with red straps and black wheels? The wheels could easily be removed and would be crudely attached to the bottom of our fashioned decks. Trouble was, these wheels could be hard to come by – some were robbing sisters of the skates and some of us were doing deals. I procured my wheels by way of an apple, a packet of tudor crisps and fifty pence. I managed to get a pair that were no longer in use due to the fact that the straps were broken and just sat in the corner of Dawn’s Porch (Dance There…). My deck had a rounded back and the front was shaped to a point, resembling a giant arrow-head – I was convinced this would cut through the air and thus, less drag – my knowledge of aerodynamics seriously poor. To attach the wheels I had an assortment of nails – screws weren’t available and besides, it was far easier, and so much more fun to use a hammer! In early test runs the wheels would often detach themselves, requiring another quick-fix and a bout of hammering. As for skill, well, that was in short supply. After many a crack on the elbow or knee, we decided that a good technique was to sit on the board – or lay on the tummy and dash off head first – it looked and felt much faster laying on the deck than standing. Parts of the village were a little hilly and by the park was the perfect path. It was steep and not too long so as to guarantee a short walk to the top and fast dash to the bottom. At the bottom of the path, there was a run-off area on to some grass, perfect. We’d set off, biting a bottom lip, paddling ferociously against the ground to build speed with only a couple of inches separating our chins from the ground! Faster and faster! In reality, about five measly miles per hour if that, though it felt quick-sharp at the time! Although the tummy technique was ideal, we never gave a thought to scraping our hands, knees, or wearing out the toes in our sandshoes! The penalty for that would come later – skin was okay to lose, however, replacing worn shoes used for steering and breaking was unforgivable. We cared less at the time and what mattered most was beating your mate to the bottom of the path – having the fastest board was something to be envied!